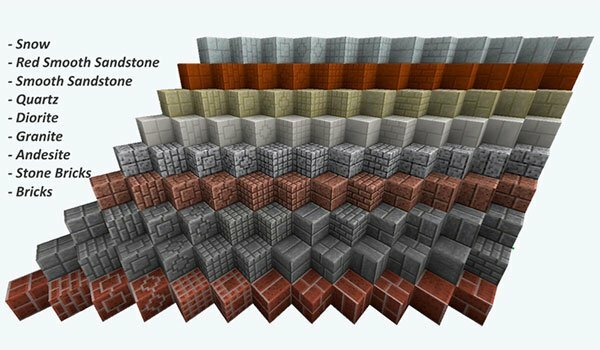 New variants of decorative blocks for Minecraft. The Additional Blocks 1.8 is a mod that adds a lot of variants for some of the Minecraft decorative blocks. That is, from existing blocks in the game, this mod allows us to create new variants, still keeping the original material, have new designs for their textures. As we can see the picture below, find new types of blocks for materials as snow, granite, quartz diorite, andresita, sandstone and bricks, among others. These new blocks will have new crafteos. 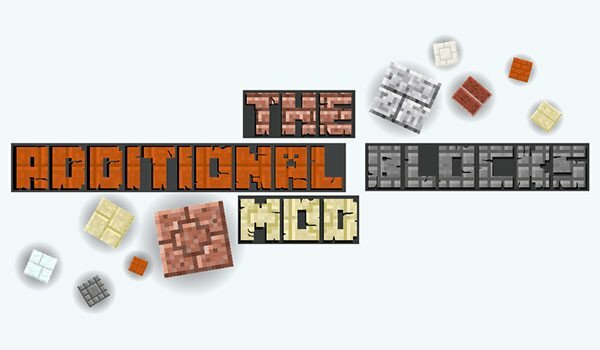 How to install The Additional Blocks Mod for Minecraft 1.8? New types of decorative building blocks for your Minecraft!